Revîv: Functional Psychiatry & TMS Wellness Center (Fullerton) - Book Appointment Online! 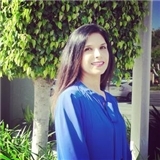 Dr. Hina Sidhu is a board certified Adult Psychiatrist in Orange County, CA. After doing her internship in Family Medicine she pursued her Psychiatry residency training at USC (LAC+ USC), one of the largest and busiest training sites in the country. Dr. Sidhu currently accepts Aetna, Blue Cross, Cigna, Medicare, and United Healthcare Insurance plans. She is also in-network with the St. Jude/St. Joseph Affiliated Physicians Network. Eligibilty may vary (please contact the office). She may be contracting with additional Insurance companies. This information will be updated accordingly. If your Insurance is not listed & you are interested in seeing Dr. Sidhu--fee for service rates will apply.